+++ 75% REDUCED TODAY!!! Happy Bhuio Weekend! Download NOW BEFORE the Price goes UP! 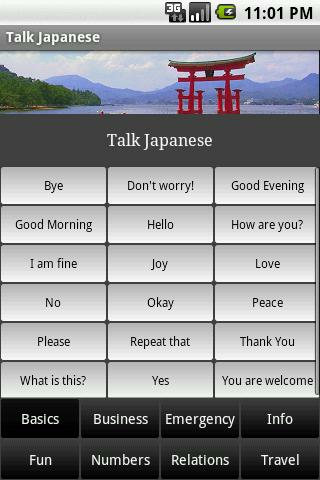 Hear&Learn to speak perfectly pronounced Japanese. Quick and useful! 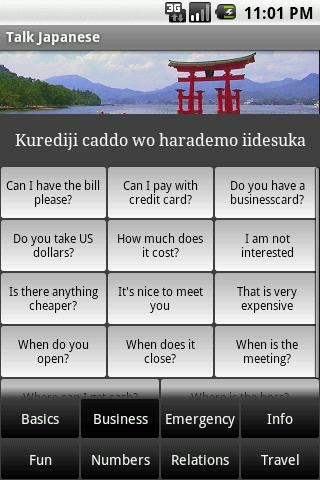 Instead of learning 1000 unnecessary words, learn these 100 essential phrases! Save time and money and just learn what you’ll actually need while traveling. + no internet required! Works offline!